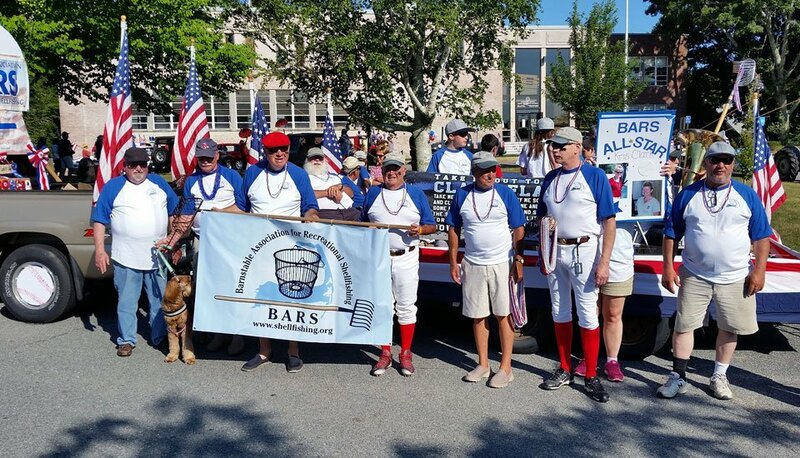 Penny Scott and all the BARS volunteers did a magnificent job of designing and creating yet another memorable float for the 2016 parade. This one had a baseball theme. Check out the wheel covers on the pickup. We sang Lenny Clark and Penny Scott’s song, “Take Me Out to the Clam Flats” (to the tune of “Take Me Out to the Ball Game”) with Andy Newman again accompanying on tuba. 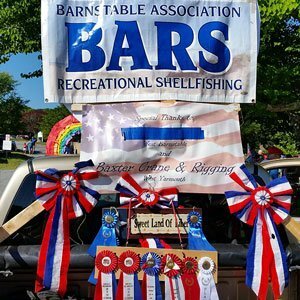 BARS won 2nd Place for its 2016 float (see below for lyrics). All but the last two photos in the slide show are by Bill Shumway. Take me out the to clam flats. Take me down to the shore. Buy me some waders and clamming rakes. We’ll go home and then make some clam cakes. So it’s rake and scratch for the steamers. If we’re not full it’s a shame. 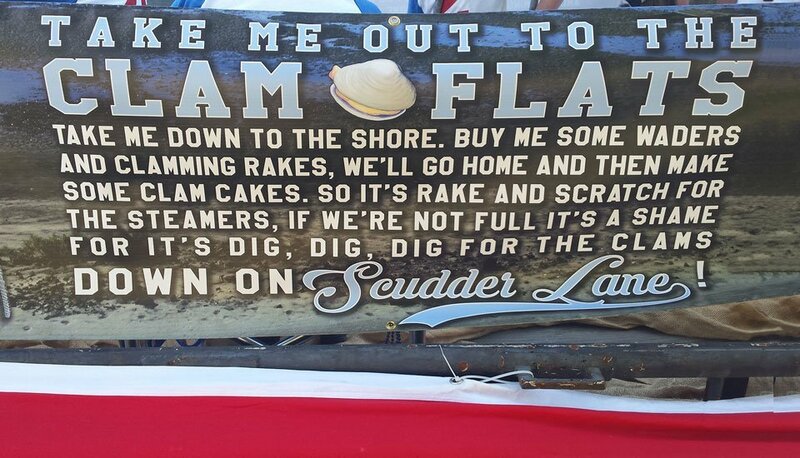 For it’s dig, dig, dig for the clams down on Scudder Lane!